Ana is a theatre director who works both nationally and internationally. She is co-founder of PopUp Theatrics, a partnership creating immersive theatrical events around the world and in collaboration with international theatre artists. She is a past resident of Women's Project Theater, LaGuardia Performing Arts Center and an alumnus of The Lincoln Center Directors Lab. She graduated from The National University of Theatre and Film of Bucharest, Romania. Her work has been presented and developed at the Working Theater, Urban Stages, NYTW, The Lark, Ensemble Studio Theater, The Secret Theatre, The Public Theatre and in numerous theaters and festivals in Europe, most notably: New Plays from Europe Wiesbaden, Edinburgh Fringe Festival, National Theatre Festival Bucharest, Sibiu International Theatre Festival. She has also directed, taught and facilitated workshops at Colleges and Universities like: Pace University, Webster Conservatory of Theatre, Queens College, National Theatre and Film University of Bucharest. . Recent work includes: The Female Role Model Project at 3-Legged-Dog Art and Technology Center NYC; The Vanished Year Trilogy at Mic Theatre Bucharest and The Museum of Lies, an immersive party game for 24 audience members, created by PopUP Theatrics. 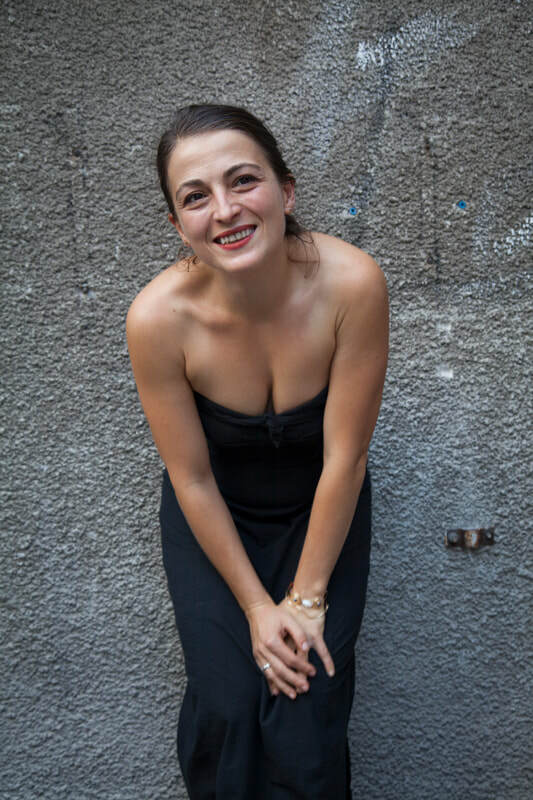 Called "one of the reigning queens of New York's highly intimate, one-shot-only, conceptual-based theater" by the NYC critic Randy Gener, Ana Margineanu is known for close cooperation with the local communities who are audiences for her work, highly metaphoric visual style, and ability to draw raw, visceral performances from her actors.